in AUD, AUD to CAD, AUD to NZD, NZD. 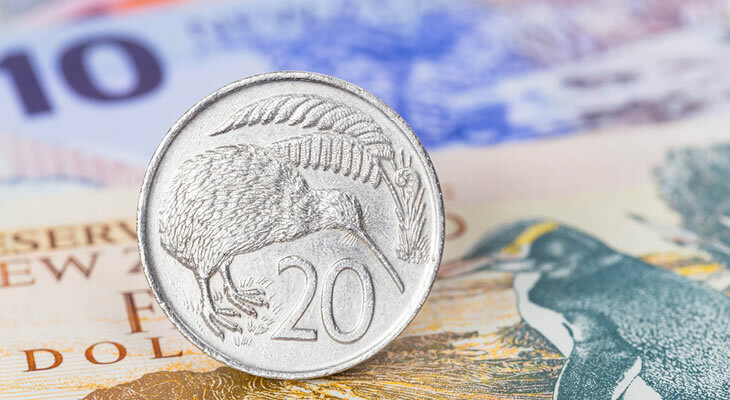 The Australian Dollar New Zealand Dollar exchange rate slipped further from its highest levels since August during Thursday trade, as investors sold the ‘Aussie’ from points of key psychological resistance and bought the ‘Kiwi’ up from its lows. Amid a lack of key data, AUD NZD is likely to continue moving depending on demand for risky currencies and the strength of the US Dollar. The Australian Dollar remains strong due to low long-term bets of RBA easing, but the ‘Kiwi’ could surge once more if US data disappoints and sends markets looking for higher yields. The Australian Dollar New Zealand Dollar exchange rate briefly dipped from its best levels on Wednesday morning, but appeared to head back to its daily best in the afternoon as the ‘Kiwi’ failed to inspire demand. Investors bought into the ‘safe-haven’ US Dollar in the afternoon thanks to better-than-expected US figures. While this weakened both antipodean Dollars, the ‘Kiwi’ selloff was stronger, with the Australian Dollar comparatively more appealing. Thursday’s session will be a little quieter than Wednesday’s for AUD NZD traders, with the only key data being Australia’s August trade balance data. As a result, the pair’s long-term forecast remains unchanged, and the ‘Aussie’ is in position to extend its highs. The Australian Dollar New Zealand Dollar exchange rate has advanced by almost a cent thus far this week, hitting its highest level in over a month at 1.0630. While the pair has struggled to hold its highs, it remains close to 1.0600 and could continue to trend with an upward bias thanks to stronger ‘Aussie’ sentiment and disappointing New Zealand news. The most notable factor for ‘Aussie’ appeal this week was Tuesday’s Reserve Bank of Australia (RBA) policy decision. In new RBA Governor Philip Lowe’s first meeting as boss, the RBA maintained its neutral tone, indicating that it would like to leave Australian policy frozen for the foreseeable future. This was notable as, to many analysts, it marked the end of the RBA’s recent easing bias and indicated to ‘Aussie’ investors that there may be no further cuts – at least not until well into 2017. The ‘Aussie’ also strengthened thanks to domestic data published in Wednesday’s Asian session. The AiG’s September service index report improved from 45 to 48.9, while Australian retail sales grew twice as much as expected, improving from 0.0% to 0.4% and beating 0.2% forecasts. Major price news for New Zealand’s most lucrative commodity, dairy, only comes around twice a month. As a result, the commodity-correlated New Zealand Dollar often sees less commodity-related movement than its peers. After prices of dairy seemed to shoot up in August and slow advances in September, the October 4th Global Dairy Trade auction resulted in a disappointing dairy price drop of -3%. The result led to the ‘Kiwi’ giving up its sturdiness as investors looked elsewhere to indulge in risk-correlated yields. While the Australian Dollar New Zealand Dollar exchange rate remains near its 2016 lows this week, the pair could be in for a long-term advance due to the differing attitudes of Australia and New Zealand’s central banks. The RBA has taken a neutral stance, indicating that Australian rates could be left on hold long-term. On the other hand, the Reserve Bank of New Zealand (RBNZ) has indicated that its easing bias will continue in the coming months. This already leaves the ‘Aussie’ with an advantage. With prices of iron ore (Australia’s most lucrative commodity) largely able to avoid large drops in value in recent months and prices of dairy still struggling, AUD NZD has a strong chance of continuing this upward trend. This is also dependant on the strength of domestic data, of course. But as it stands, risks of AUD NZD falling to parity appear to be low. At the time of writing, the Australian Dollar New Zealand Dollar exchange rate trended in the region of 1.0595, while the New Zealand Dollar Australian Dollar pair traded at around 0.9433.